We provide hospital storage solutions . 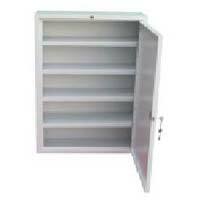 Our range of cabinets are made of heavy duty mild steel tube and sheet. These are then pretreated through 8 tank process and finished with Epoxy Powder Coated. (View the importance of 8 tank pretreatment in Mild Steel Hospital Furniture in our news section). Our supplies are 100% as per the customer requirements and specifications, this is because of our capacity to supply custom designed products and also by giving attention to each and every details in manufacturing process. These items can be supplied in fitted form. All of the cabinets are with adjustable shelves and shelf supports. 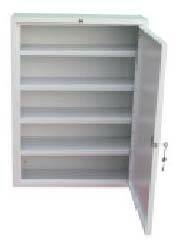 High quality stainless steel grade 304 shelves and shelf supports can also be supplied. 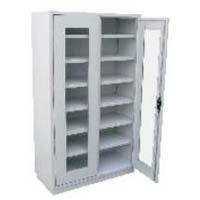 Each cabinet is having heavy duty 6 lever locking and supplied with 2 keys. Red warming light to indicate the opening of the cabinet can also be provided. 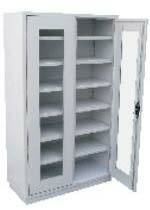 The heavy duty design make these cabinet long lasting and safe to use in hospitals and similar institutions. 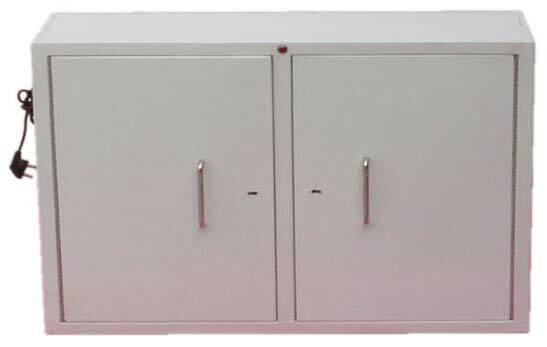 Drugs cabinets can be wall mounted. 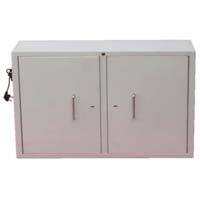 Drugs cabinets are supplied with rear bolts for wall mounting.